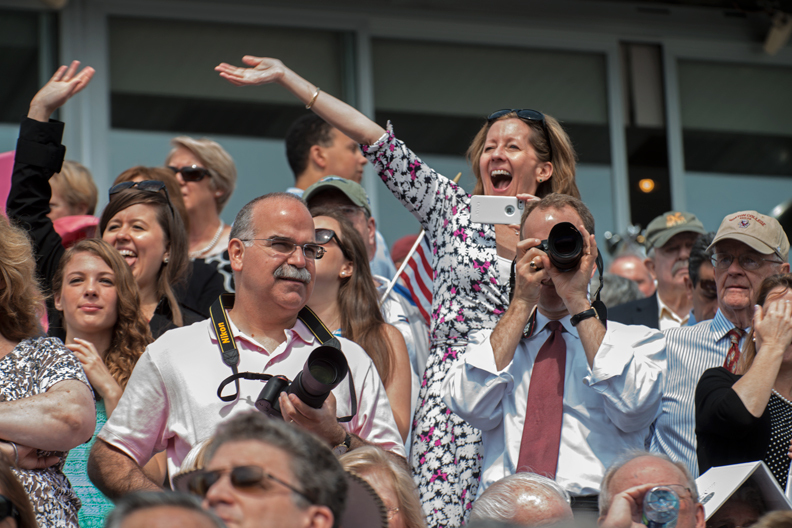 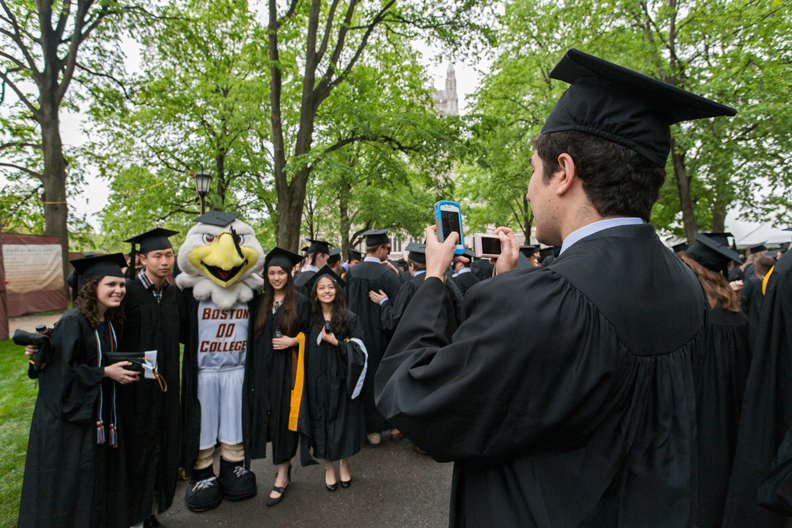 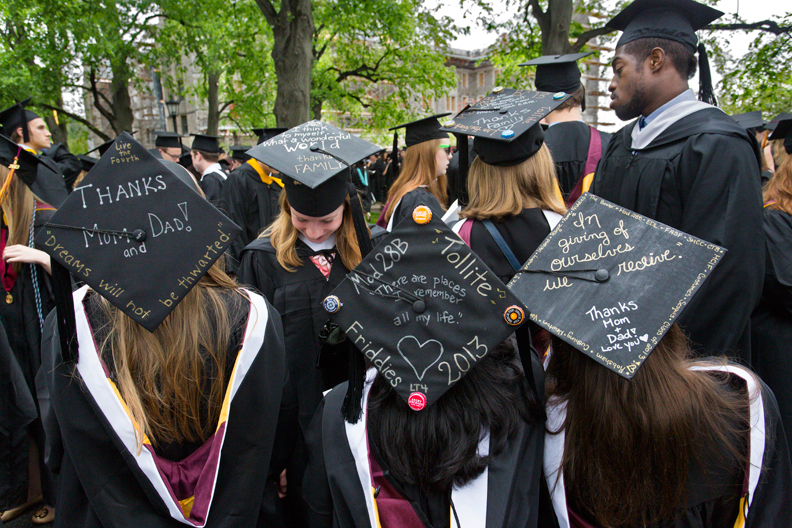 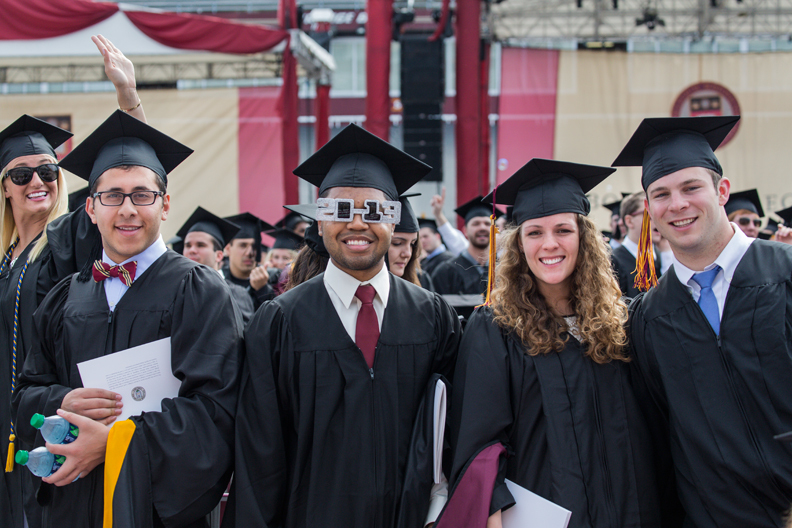 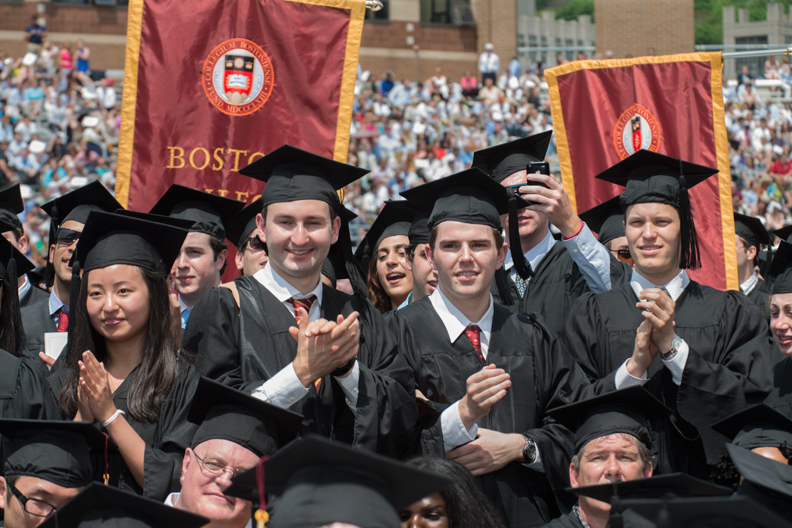 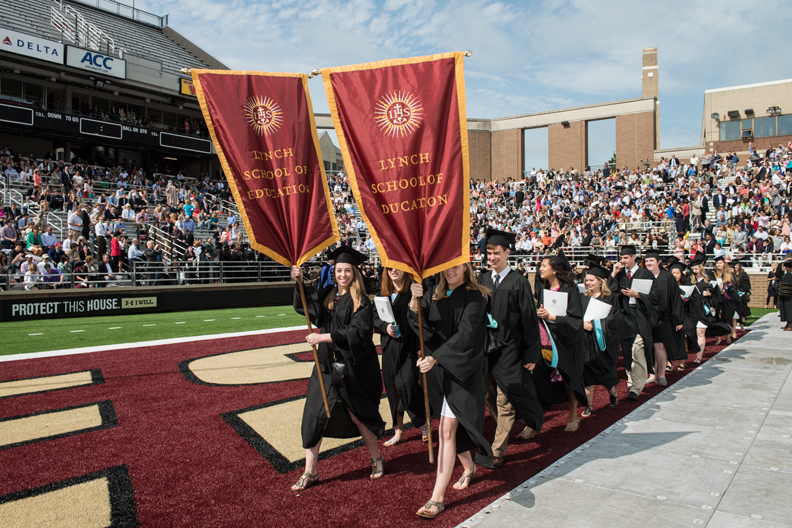 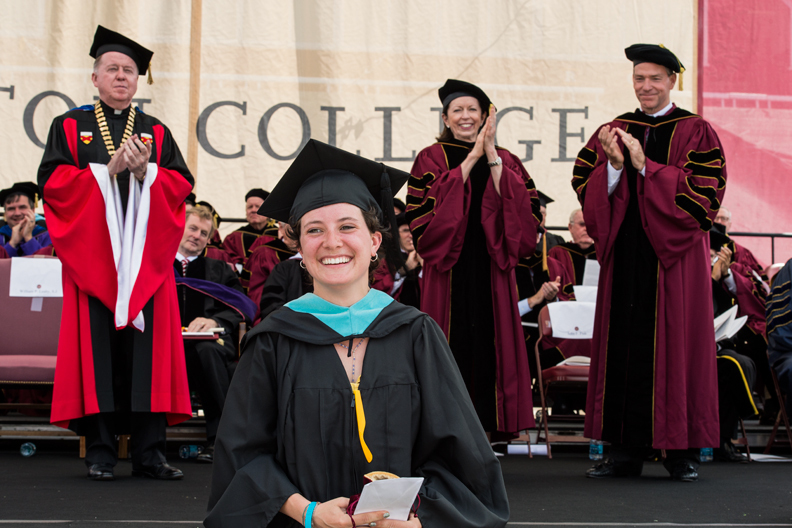 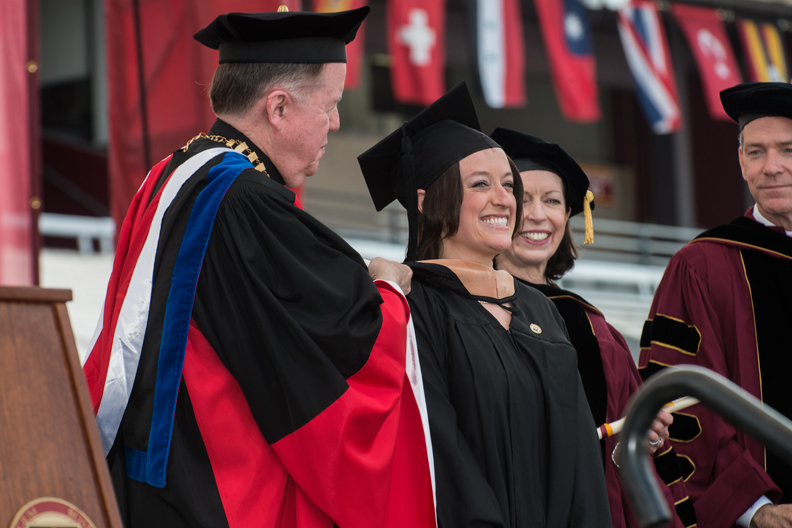 At the University’s 137th Commencement on May 20 in Alumni Stadium, 2,197 undergraduates and 1,355 graduate students received degrees, applauded by more than 20,000 guests. 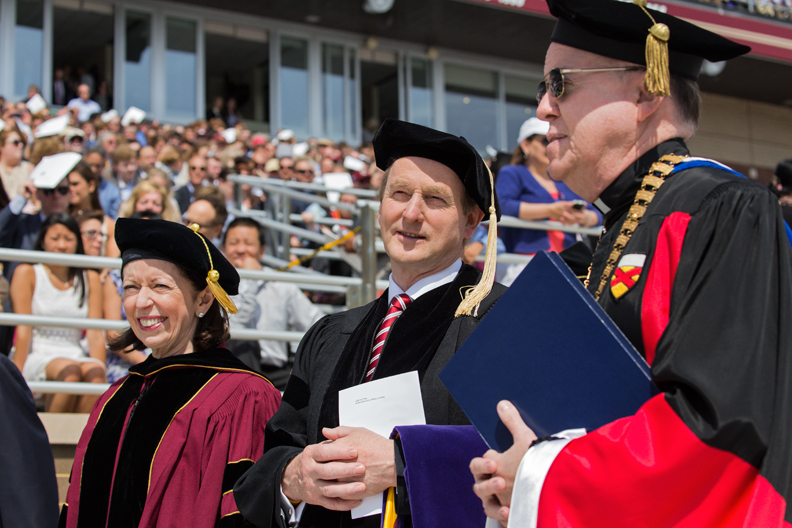 Enda Kenny, the prime minister of Ireland, addressed the Class of 2013 and was awarded an honorary Doctor of Laws degree. 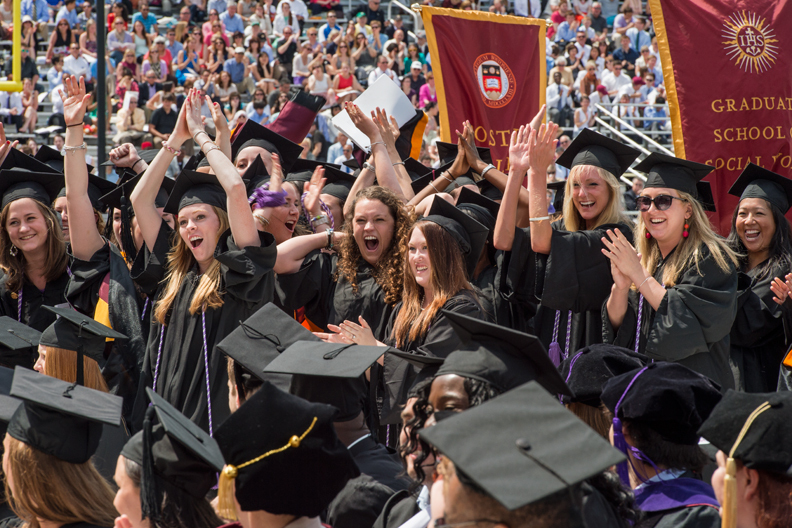 Also receiving honorary degrees were Wayne Budd ’63, former U.S. attorney and member of the University’s Board of Trustees; Mary Lou DeLong NC’71, recently retired University Secretary; Cornelia Kelley NC’69, headmaster emerita of Boston Latin School; and James A. 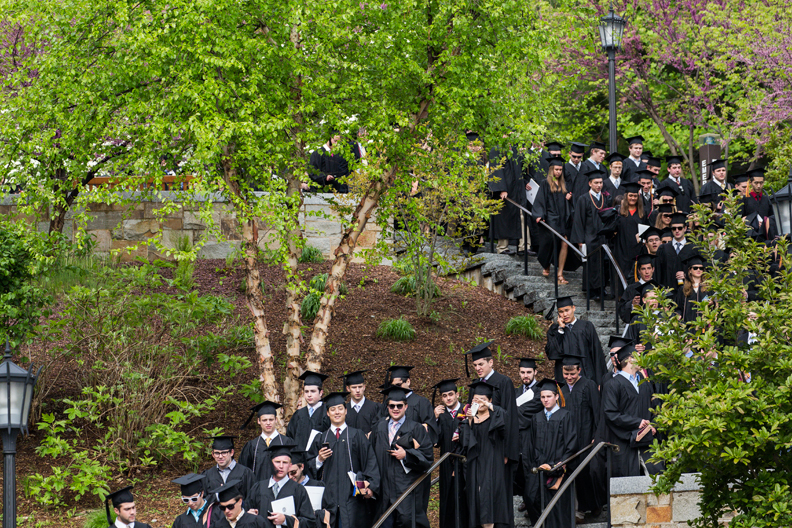 Woods, SJ ’54, founding dean and namesake of the University’s Woods College for Advancing Studies.